Our OEM Impeller performance mod will improve performance on the stock OEM impeller. Once you order our impeller mod service we will email you a code # for you to put on package and instructions on shipping. The same goes for impeller re-pitch. 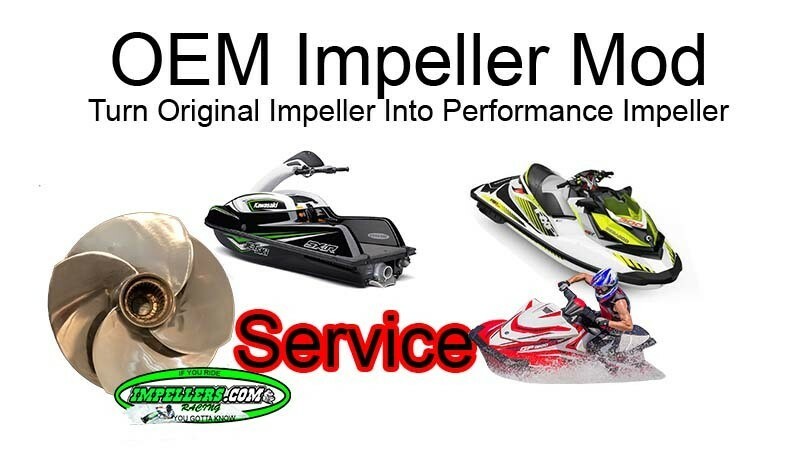 Price is for 1 impeller Mod service. Impeller will be modified for performance. NOTE: You can request different custom pitch if needed. Impeller will get our speed polished finish treatment for less friction.